Kyoto is not only famous for its traditional customs and old Buddhist temples but also famous for its severe climate. I´ve just spoken to my friend who has been living in Kyoto for three years and she was already beaten up by the heat and humidity. She said the entire city is literary a sauna. I was so fed up with the heat in Tokyo and I don´t know if I want to be in Kyoto in summer. However, Kyoto in July is one of the special month. A lot of energy arises in Kyoto. It´s a famous festival, Gion-matsuri (祇園祭), which continues for a month. The festival starts in the end of June. The other day I spoke about the sweet, Minazuki. 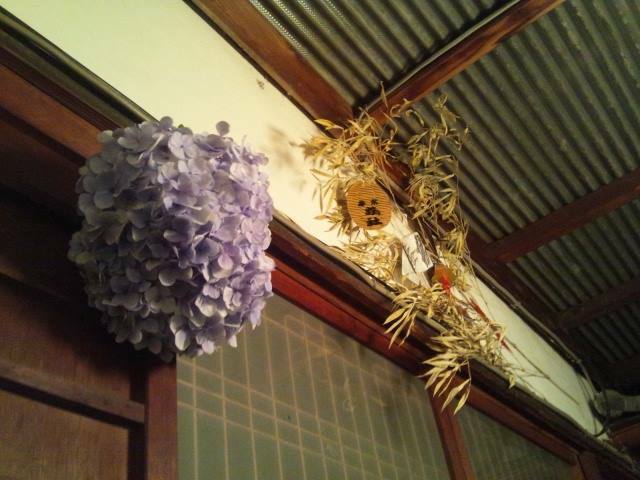 And if you look around the houses, you might´ve seen hydrangeas flowers were hung above the entrance doors. People believe hanging a hydrangeas flower brings prosperity and money. One interesting thing is, the flower has to be “taken” from other person´s garden. This popular belief can be seen in different regions of Japan. In a city of Aichi prefecture, it is said that if you can manage to hang the flower, which you steal from someone´s house without being seen at all, you will earn a lot of money and the flower works as a talisman. Gion-matsuri has a long history and started in the 9th century. Until the Meiji period (明治時代/1868-1912), it was called Gion Goryoe (祇園御霊会) because originally this festival was held to pray for the healthy and safe (from the disasters) society. Kyoto is located in the valley and Heian-kyo (平安京) was built over the marsh. Population concentration and the poor water and sewer system were the perfect reason to provoke malaria, smallpox and influenza as well as dysentery or measles. Gion-matsuri was begun to protect the people in the ancient city. Gion-matsuri start on the 1st of July at Yasaka-jinja (八坂神社). This is the ceremony, Osendo no gi (お千度の儀). Children were chosen for leading the Yamahoko junko (山鉾の巡行), which is the highlight of Gion-matsuri. 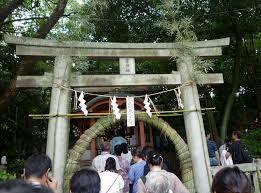 Yesterday, the 2nd of July was Kuji tori shiki (くじ取り式). This is a very exciting moment that the order of the Yamahoko junko, which is held twice, the 17th and the 24th during the festival. You can see the tension through the screen. This is the Yamahoko Junko. The friend of mine in Kyoto went to see it for the first time and she was simply astonished, she said. The second part of the march was revived last year after 49 years. People in Kyoto were very excited and the march was surrounded by 22,000 audience in the morning and increased to 50,000 by the evening in 2014. Gion-Matsuri, it´s worth watching once in your life. 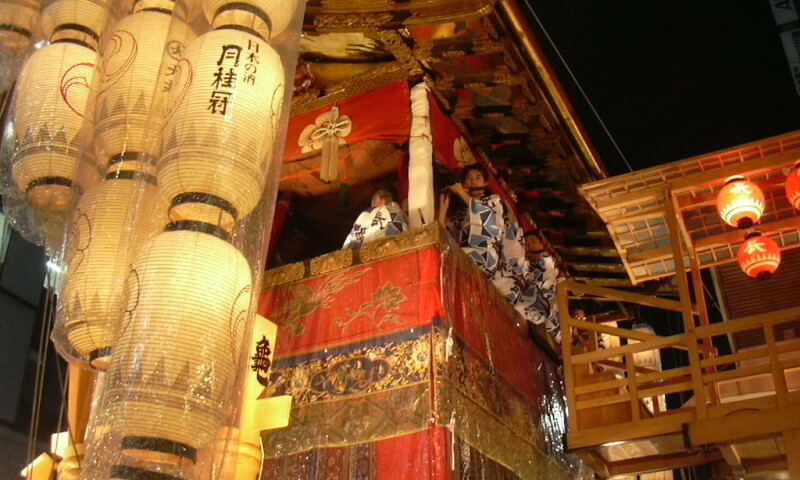 The finale of the Gion-matsuri is Natsugoshi-matsuri (夏越祭). People who come to the Yasaka jinja walk through the thatch grass ring wishing for your good health. After this ceremony, a month of festival, Gion-matsuri finally ends. Next year, if you plan to go to Japan, why not experience this special festival in the ancient city?